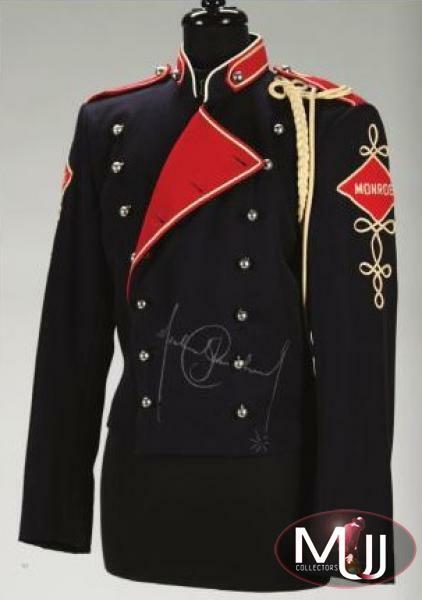 Dark blue and red wool jacket with golden ropes on the left shoulder and patches on both shoulders reading “Monroe”. 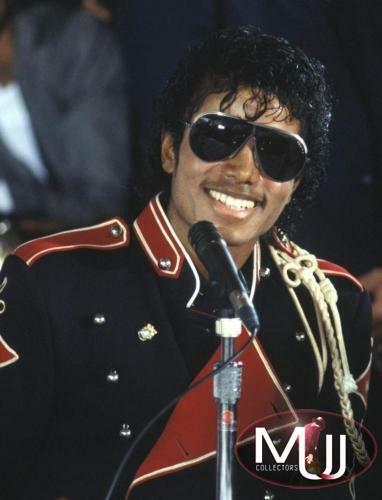 Michael wore the jacket at the 1983 press conference at the Tavern On The Green in NYC to announce the Victory Tour. 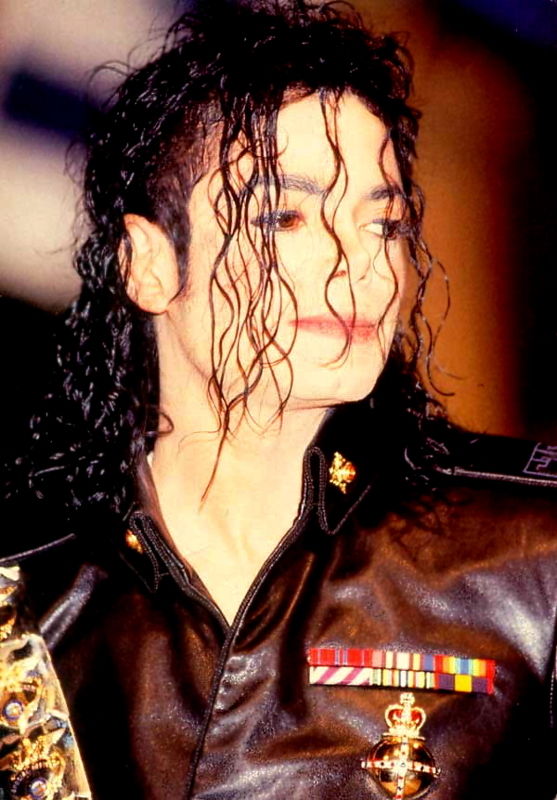 This jacket is signed by Michael. Sold by Julien's Auctions (Lot #332) for $50,000 at their 2010 "Legends" auction. All screen captures are the property of their respective owners.